We are situated in lower Vipava valley, in a village Vogrsko. If you drive on the highway, look for the exit Vogrsko which is between the exits Selo and Nova Gorica. 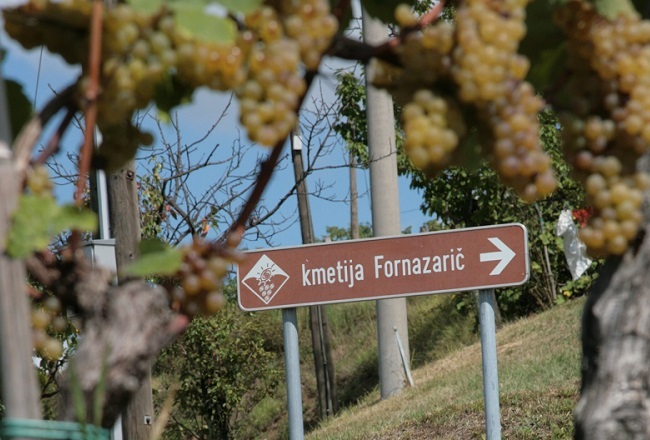 When you arrive at the crossroad with local road turn left and drive approximately 2.5 km until you see the signboard “Kmetija Fornazarič” directing you to the right. Then drive uphill and 600 m until the next crossroad with signboard where you turn to the first house on the right.